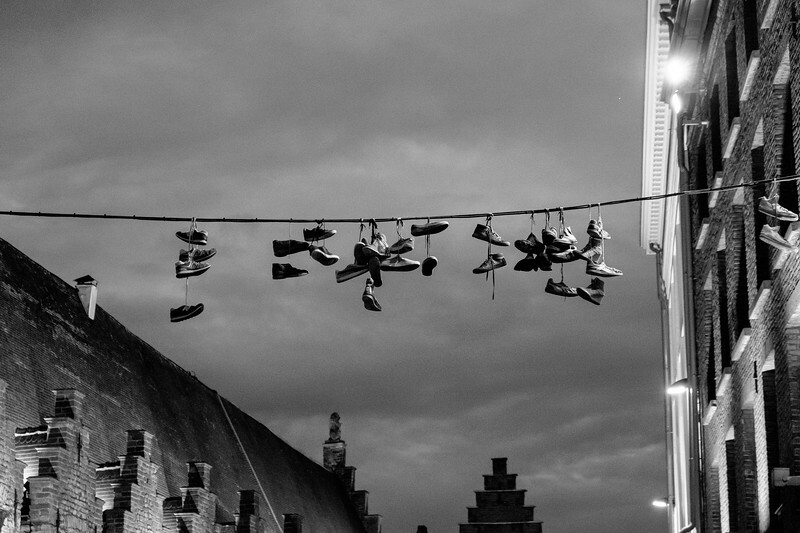 While strolling through the majestic city of Ghent I noticed some shoes strung above the town. It was a peculiar sight and a snapped a quick photo to remember the shoes floating in the air. This image was taken handheld on May 15th 2017 in Ghent, Belgium using the Fuji X-T10 and the Fuji 18–55mm lens at 55mm, 1/90s, f/4.0, and ISO 6400. Editing was performed in Lightroom to convert to black and white and achieve the contrast shown.